With over 20 years experience in all aspects of Corporate and Wedding Events, Marty Scott has become the first choice in Wedding and Corporate entertainment, Marty has a true passion and commitment to ensuring that each performance is special and memorable. Instantly Marty was bitten by the bug of performing live on stage and wanted to be up front instead of stood behind the keyboards, he since went onto to perform in numerous bands, duo's & trio's as a vocalist. He set up and was part of the successful trios 3rd Edition, Oblivion and Vibe before joining international boy band Foxx wowing audiences worldwide with their high energy dance routines and impeccable stage show. After 3 years with Foxx Marty decided on a break and left the UK behind for the sunny Spanish resort of Benidorm on the Costa Blanca were he performed to the many holiday makers in the numerous clubs, nightclubs and hotels for nearly 3 years. 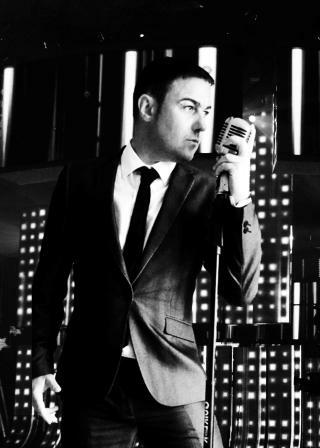 Marty returned to the UK in 2004 and put together the rock band Aftershock, performing at various venues throughout the UK, he has since went on to become one of the most in demand professional corporate & wedding singers throughout the UK and Europe. Offering bespoke packages specific to your needs and ensuring a great night of entertainment. Marty has an extremely diverse and versatile voice that allows him to sing songs from all eras, with a large repertoire of songs to suit all ages. In his live music sets Marty travels through all decades of some of the best and most well-known Ratpack, Motown, Soul, Disco, Pop, Rock, Chart and Love songs. His main aim is to make sure every guest has an exceptional and memorable time and dance until they drop! In addition, Marty can provide you with perfect ambient background music as you and your guests dine or enjoy your drinks reception – the best in soul, swing, easy listening and love songs, disco also available.